On October 30, the Masterpiece Collection will be released and include 15 of Alfred Hitchcock's greatest films on Blu-ray. In the spirit of that set, I've decided to perform the impossible task of listing my favorites from his massive career. 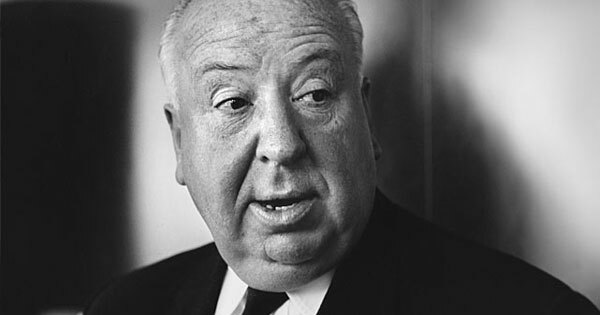 Hitchcock directed more than 50 features, and I've caught a respectable 24 of them. There's still plenty to see, so I realize this list will be incomplete. It's mainly designed to initiate conservation and see what you think are his best movies. I'll be clear upfront that I'm not diminishing the importance of Vertigo by keeping it from the rankings. I completely understand why it was recently listed as #1 on the Sight & Sound Poll. However, it isn't one of my favorite Hitchcock films. These picks are focused more on pure entertainment value and are obviously subjective choices. Without further unnecessary rambling, let's check out what made the list! One of Hitchcock's creepiest killers is Uncle Charlie (Joseph Cotten) in his 1943 thriller Shadow of a Doubt. The story takes its time in depicting the quiet young town and life of young Charlie Newton (Teresa Wright). She adores her uncle and is thrilled when he arrives in town, but strange occurrences make her question if he's such a great guy. Cotten is chilling as the likable guy who might also be a killer. The earliest pick on this list is 1938's The Lady Vanishes, one of Hitchcock's last movies before moving to Hollywood. After a brief stay in a hotel, nearly the entire film takes place on a train. It's a slow burn that includes fun characters and great suspense. It's also a classic example of a situation where almost no one believes the heroine's claims of foul play. 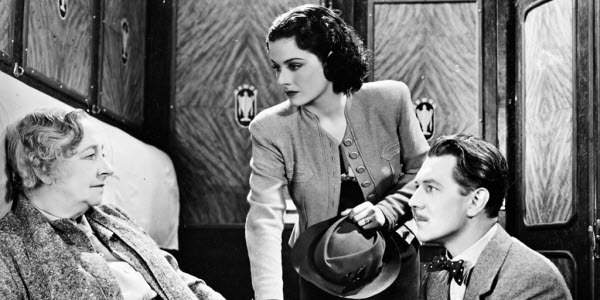 Before Iris Henderson (Margaret Lockwood) can battle the evil villains, she must convince people she isn't crazy. It's tricky to rank a movie like Psycho because it's had such a large influence on so many films. I've tried to push aside its importance to history and just consider it as an entertaining movie, though I'm not sure that's possible. If you're interested in that side of it, David Thomson's book The Moment of Psycho is an excellent read. So much of this film has entered the pop culture mainstream, especially the shower scene and Norman's relationship with his mother. The early scenes move pretty slowly, but that was by design to pull the rug out from under audiences. The first act promises a more straightforward story with Janet Leigh's Marion Crane on the run with stolen cash. 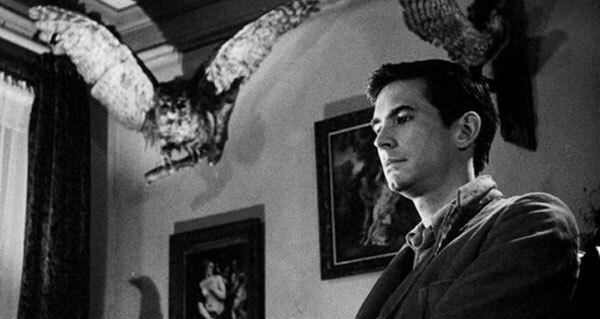 After she exits the stage, Norman Bates (Anthony Perkins) becomes the new lead character. We're aligned more with his attempts to avoid capture than Lila Crane's (Vera Miles) search for her sister. It's a simple premise. Two strangers meet on a train and strike up a conversation about their troubles. They speak hypothetically about murdering away their problems, but one of them isn't joking. Robert Walker is frightening as Bruno Anthony, a charismatic guy who slowly reveals how crazy he really is. Guy Haines (Farley Granger) is the second part of this duo and would love to see his wife go away. Of course, he isn't ready to commission anyone to kill her. There are several great scenes in this film, particularly Anthony's slow pursuit of Haines' wife at an amusement park. The climactic tennis match, with Walker sitting motionless while the rest of the crowd follows the ball, is just perfect. It's an underrated Hitchcock film that deserves a mention alongside his greatest movies. We've entered the obvious portion of this list. Rear Window is another case where Hitchcock takes a straightforward premise and turns into something much more. Photographer L.B. Jeffries (Jimmy Stewart) is stuck in a wheelchair after breaking his leg at a car race. He spends his days watching his neighbors and thinks he witnessed a murder, but he isn't sure. Along with his girlfriend Lisa Carol Fremont (a stunning Grace Kelly), they engage in a cat-and-mouse game with Raymond Burr's Lars Thorwald to uncover the truth. Although it's primarily a thriller, Hitchcock is also exploring voyeurism and our own roles as moviegoers. Even if Jeffries' suspicions are correct, is he doing the right thing? There's no easy answer to this question, but it adds extra layers to a highly entertaining movie. Not to be confused with the biopic about the Notorious B.I.G., this intriguing spy tale combines romance with a tense undercover mission. Government agent T.R. 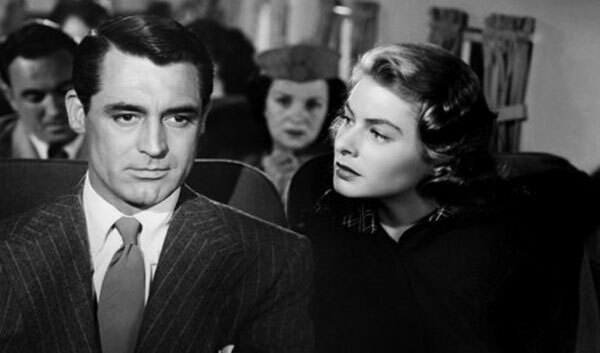 Devlin (Cary Grant) enlists the help of Alicia Huberman (Ingrid Bergman) to infiltrate a group of Nazis in Rio de Janeiro connected to her imprisoned father. They fall for each other before she departs, which makes it tougher to send her into the arms of former lover Alexander Sebastian (Claude Rains). The Nazis' plans are really just a MacGuffin to draw us into an story. There are several classic sequences, especially the extended shot that ends on a key in Alicia's hand. It's a brilliant moment and one of Hitchcock's most inspired scenes. Grant and Bergman are excellent, and Rains makes for a believably down-to-earth villain. This was an easy choice. North by Northwest provides a classic example of the "innocent man on the run" genre and sets the standard for others to imitate. Cary Grant (again!) stars as Roger O. Thornhill, who accidentally is identified by the name of George Kaplan. This brings him into contact with Philip Vandamm, played with just the right menace by James Mason. He also begins a romance with Eve Kendall (Eve Marie Saint), though she may be hiding other motivations. There are famous scenes like the crop-duster and Mount Rushmore set pieces, but this movie is so much more. It's such an entertaining film, and Grant is at his best as Thornhill improvises his way out of dire situations. There's plenty of action, but Hitchcock maintains a relaxed tone that never feels rushed. We're enjoying the ride so much, and nothing feels forced to get the characters to the next set piece. While it isn't Hitchcock's deepest film, you can't top North by Northwest for pure entertainment. I'd love to hear your thoughts about this list. Are you ready to fight me for skipping Vertigo? You should also check out past Top 5 Lists if you've missed them. Nice List Dan ! You know, it's funny. I have seen around 15 and have 9-10 more shortlisted that I want to see before I do my own profile on him. Even I thought I have to see 24-25 movies before doing anything of this sort. Glad to see you agree too! 2. Psycho - If someone can scare just with his camera, you got to respect that. 4. 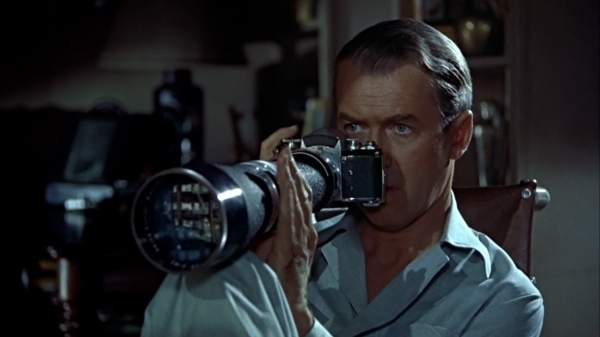 Rear Window - movies set inside of a room never fail to capture me. 5. The Birds - this one scared me 10 times more than most horror films. It will take something special to make me change this order. Thanks! Nice job with your list. The Birds is also a good choice; I love the way the tension builds as the birds take over. I'm glad to hear you're such a fan of Notorious too. 1. 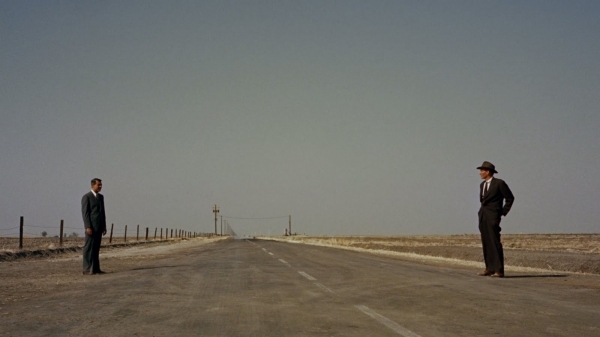 North by Northwest - my favorite film, bar none. 2. Rear Window - Stewart at his best, tension at its highest. 3. The Birds - The template for zombie films. No, really. 4. Psycho - Great, but still not as great as Peeping Tom. 5. 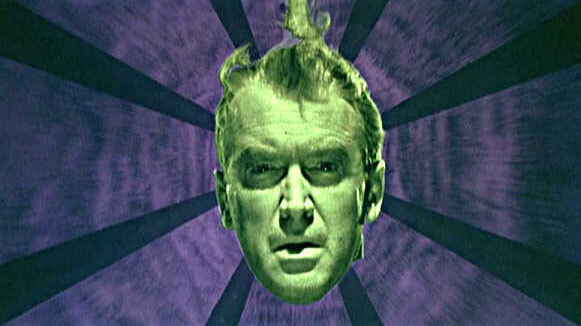 Vertigo - The least of Hitchcock's great run of films. I've been told the one I need to watch is Shadow of a Doubt. I'll get there eventually. Steve, I'm glad to see that you recognize the greatness of North by Northwest. It's such a fun time and has so many classic moments. Shadow of a Doubt is definitely worth seeing. Joseph Cotten's performance alone makes it worth checking out. Joseph Cotten makes any film worth checking out! Dave, you're the first to mention a movie that I haven't seen yet. The Wrong Man isn't even on my Hitchcock shortlist, which is silly when you consider that Henry Fonda is the star. Adding it to the list! Great list, Dan. Glad to see Dial M for Murder, The Lady Vanishes, and The 39 Steps get mentions outside of your top 5. I'm not sure if I'd go with Rear Window at #1 anymore, but my top 5 would definitely be Dial M for Murder, Notorious, Psycho, Rear Window, and Vertigo. Honorable Mentions: North by Northwest, The 39 Steps, The Lady Vanishes, Frenzy, and The Birds. Thanks Josh. Dial M for Murder was a nice surprise when I caught up with a few years ago. I didn't have high expectations and really enjoyed it. Frenzy is interesting because it's a pretty nasty film in the way it shows us the killer's perspective. Great list Dan, mine is currently: 5. Psycho, 4. Rope, 3. Rear Window, 2. Dial M For Murder and 1. North By Northwest, but I haven't seen that many others (if you've not seen it yet, The Trouble with Harry is also pretty good in my opinion). I'm currently going through all of Hitchcock's films, so I should be able to do a more concie list in the near future! Nice list, Jay. I saw The Trouble with Harry a long time ago and thought it was fun. I haven't checked it out recently enough to see how it compares to the others, though. Thanks! Thanks! I'm not as big a fan of Rebecca; I think it's more about my feelings on melodrama. I do like the way Hitchcock creates the mood of that movie and can't argue with the pick. Margaret, I haven't seen Lifeboat, so that's why it didn't make it. The Birds was right on the edge of the list of extras. I was deciding between it, The 39 Steps, and To Catch a Thief for the last two mentions. I think The Birds is a very good movie, so I can't argue with putting it on there. I kid you not, when Sight and Sound released their top films, I tweeted that, while I love Vertigo, it wouldn't even be in top 5 Hitch films of all time. And when people asked me what my top 5 were, I listed the same five you just did. How cool is that?! Wow! It's clear that you have excellent tastes, Alex. It's funny that our Top 5 lists were the same because I flipped #5 around a few times before deciding on Psycho. The top four were pretty easy to put together. Psycho is definitely my fave, but I love all of those films, for sure. The Birds, Dial M for Murder, Rope, and Shadow of a Doubt. I've seen but wouldn't rank as high as the five I've picked: Rebecca, To Catch a Thief. I bought 39 Steps and Lady Vanishes, but haven't watched them yet. I have to get on that. Max, that's a great list of movies that you still need to see. I can't argue with any of your picks; all are very good movies, and four were on my list. I'm not a huge fan of Rebecca. I enjoyed To Catch a Thief, but it's on a tier below the top choices for me. I'm drooling at the thought of that Hitchcock Collection. Nice list, Dan! I'm happy to see Notorious ranked so high. I still need to see quite a few of his films, but right now my top five would probably include Notorious, Rear Window, Psycho, Vertigo and Rope. So far I have yet to be disappointed with any of his films. Thanks Eric! That's a strong top five for sure. 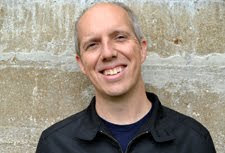 The tricky part with ranking Hitchcock is that there are so many good picks. If I re-watched a lot of his movies, I might organize it differently.